Grab an easy freebie the next time you are at Walmart! 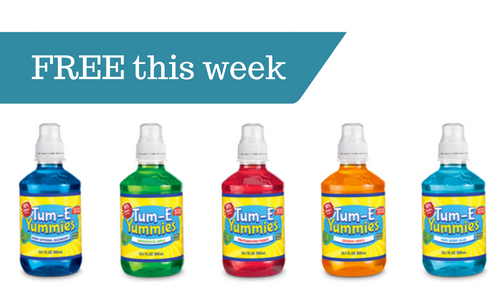 Grab two Tum-E Yummies drinks and you’ll get them for FREE after coupons. Look for them in the refrigerated drink cabinets near check out. My girls love these, though normally they are a splurge on a road trip. Am I the only parent that hears the name and thinks of Clifford?